Dimensions: 55 1/2" wide x 57" long x 61 1/2" high. 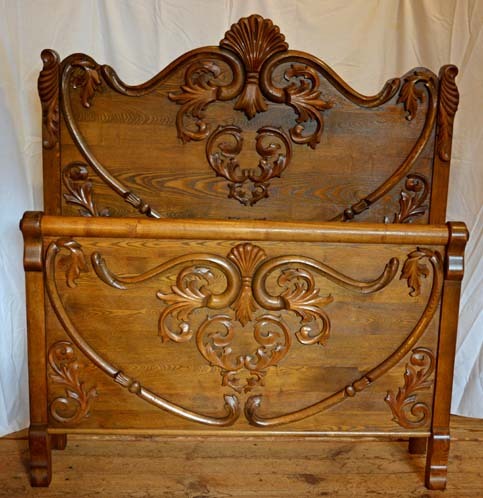 Description: This full size Oak Bed is a beauty! The bed has the capacity to be a queen size using replacement rails, so it is versatile enough to be converted.